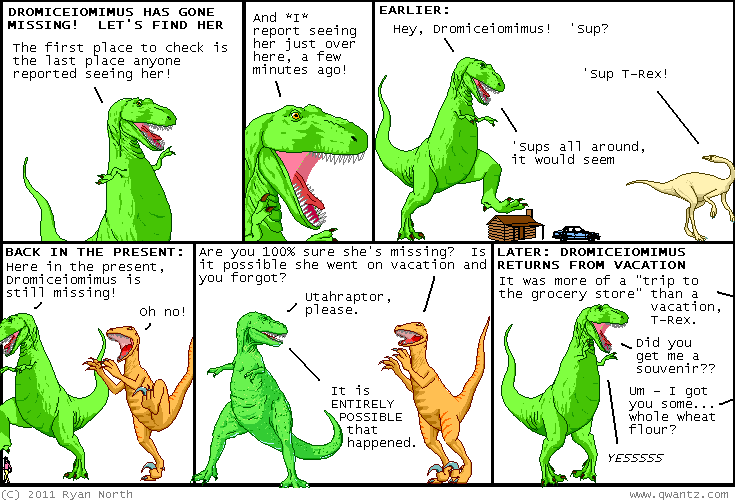 Dinosaur Comics - October 11th, 2011 - awesome fun times! October 11th, 2011: So I've tried to warn everyone about cephalopods for years and years, and now we get to wake up to headlines like Giant prehistoric krakens may have sculpted self-portraits using ichthyosaur bones. Try to act surprised, I guess? One year ago today: how about you call your play "knaves ahoy", i will pay you 500 of what you'd call futurebux if you call it "knaves ahoy"